It's taken a little longer than normal to receive confirmation, but we finally have the North American download information for the week. This time around the focus is truly on retail downloads, though a much-anticipated download-only title arrives from Capcom. Let's get to it. Baseball (Nintendo, $4.99) — The NES Sports range continues its route onto the Wii U Virtual Console with this rather popular American sport. You pitch, you bat and you (sort of) field, but we weren't impressed many years ago in our Wii Virtual Console Baseball review. 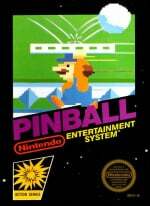 Pinball (Nintendo, $4.99) — It's another one of the earliest NES games, which explains the rather simplistic title. This is a fairly basic game of pinball with a Mario mini-game thrown in, and we gave it a reasonable recommendation in our Wii Virtual Console Pinball review. 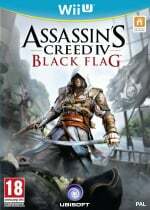 Assassin's Creed IV Black Flag (Ubisoft, $59.99) — Available from 29th October, this is the latest in the hugely popular Ubisoft franchise, on this occasion focusing itself in the Caribbean islands with the Grandfather of the main protagonist from Assassin's Creed III, Edward Kenway. Promising a large, seamless world and plenty of action out at sea, we'll let you know what we think as soon as possible. 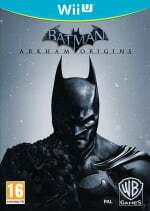 Batman: Arkham Origins (Warner Bros. Interactive, $49.99) — The first of this particular series not developed directly by Rocksteady, this third title goes back to Batman's younger days and the tricky task of taking on multiple assassin's chasing his bounty. The Wii U version lacks the new online multiplayer mode, though may continue the good work of GamePad integration seen in Batman: Arkham City Armoured Edition; we'll sneak around in the shadows and do our best Batman voice while working on a review. Sonic Lost World (SEGA, $49.99) — Available from 29th October, the home console iteration of this Sonic title is arguably the most anticipated of the two, incorporating some fresh ideas and circular environments along with various staples of the 3D Sonic genre. Despite some issues throughout the experience, we enjoyed enough of the title to give it a modest recommendation in our Sonic Lost World review. 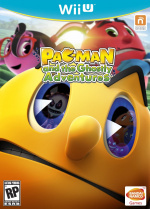 Pac-Man and the Ghostly Adventures (NAMCO BANDAI Games America Inc., $39.99) — A surprise appearance this week, it's available from 29th October. Monster High: 13 Wishes (Little Orbit, $39.99) — Available from 29th October. 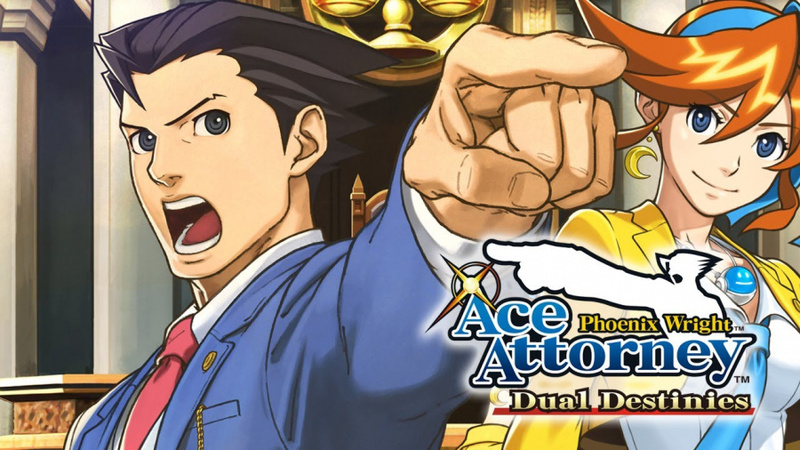 Phoenix Wright: Ace Attorney - Dual Destinies (Capcom, $29.99) — Originally expected as a retail release, Capcom is bringing the much anticipated sequel exclusively to the eShop with a lower price. Fans may object to the absence of a physical retail version, but there is the consolation that a localised version has arrived. We'll bring you a review very soon. Star Soldier (Konami, $4.99) — It's another NES title on the 3DS eShop, which also adds to the solid collection of scrolling shmups that have crept onto the service. There are 16 stages to battle through, but this may not be the best example of the genre available on your 3DS — check out our extensive Star Soldier review for details. Batman: Arkham Origins Blackgate (Warner Bros. Interactive, $39.99) — Available from 25th October, this spin-off to the home-console title is a 2.5D game developed by Armature Studios. Despite the shift in perspective it'll include various features popular in the franchise. 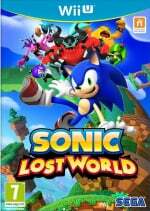 Sonic Lost World (SEGA, $49.99) — Available from 29th October, this is the portable version of the exclusive Sonic title that was developed by Dimps. Though impressive in ambition and the visuals achieved on the system, we felt this was a thoroughly average experience in our Sonic Lost World review. Regular Show: Mordecai and Rigby in 8-Bit Land (D3Publisher, $29.95) — Available from 29th October. 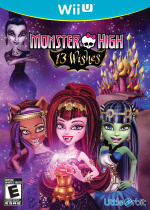 Monster High: 13 Wishes (Little Orbit, $29.99) — Available from 29th October. Sega....still no Sonic demos for NA? Really? Come on! HOLD IT! I will be getting Ace Attorney 5 today! I was really looking forward to Sonic, but the reviews have turned me off. I'll download Batman and wait for Sonic to hit the bargain bin. So No Wii Party U in the eshop? Sonic Lost World 3DS version is not $50. It's only $40. I should know I have it pre-ordered. Sonci for the 3ds is really 49.99??? Even if I was considering it that price totally turned me off! 15$ at best for me! Ace Attorney will be mine however! @WebHead - Nintendo really needs to get with the program on demos with the holidays approaching and several big multiplat games. The PS3 didn't get AC4 or Batman demos - PS3 has been somewhat lacking in demos of late as well - but Lego Marvel had one, and Sonic is a level/world game, a demo should be really easy, jut pick 1 level. My kid played the 1 Sonic Unleashed demo on the PS3 about 20 times until I finally got him the game. And we all know demos exist b/c Best Buy had some and the trade shows always have some. I don't see how they can release this on the eShop when it's packaged for $50 w/ a $40 Wiimote+ and a Gamepad stand. They'ld have to sell it for $10, but then nobody would buy the retail package for $50. It's lose-lose. 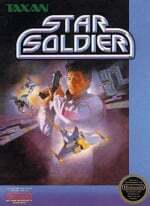 STAR SOLDIER! OMG!!!!!!!! It comes a week after my 2nd other most wanted game appeared (Revenge of the 'Gator! ), I love you, NOA!!! EGAD! I still haven't preordered Lost World yet! @Pokefanmum82 It could be a typo but the eshop version could be more for all we know! Originally I would have been picking up Batman: Arkham Origins, but their poor marketing and PR skills let the news sit for weeks that the Wii U version was inferior at the normal price point. So I ened up purchasing Zelda Wind Waker on the eShop instead. Release the rest of the Wii Virtual Console games on the Wii U already!! Sonic Lost WOrld, 0%.... yeah, that game is going to tank. Should we just call it the final Wii U 3rd party exclusive ever? @ScroogeMcLz - Nntendo doesn't make what demos? The ones for their own games at the Best Buy kiosks during E3? Or for their games at Gamescon? @redcypress Nope, and we're trying to get a statement. I thought you were referring to 3rd party games, but yeah I don't understand the lack of 1st party demos on the eShop. @Pokefanmum82 I put what Nintendo has on its official site, I'll update if they do or if it appears on the store for less. When How to Survive coming to shop? I want to get Phoenix Wright but I think I'm going to wait for a price drop or temporary discount, no hurries for me. More black box games on the Wii U VC! You may not know it yet but it is what you wanted. yes! phoenix! take my money! trials looks fun too. time to get a big ol memory card. I'm pumped for AA5! I'll be picking it up soon. TAKE THAT! Might pick up Origins Blackgate but I want to see a review first. I would pick up Ace Attorney but Capcom screwed themselves out of purchase by making it digital only. The Virtual Console is becoming a joke for both systems. Why is it taking so long for good retro games to come to Wii U? I suspect Nintendo's listing is an error, but eShop prices aren't always logical, so we'll soon see what the actual price is. Just Pheonix Wright for me, but that's all I'll need. I'm surprised I don't see any Blakgate reviews yet?! Really want to know if its going to be good. Actually there are Sonic demos for Japan and EU. It's More NoA's fault than Nintendo as a whole. You would think that Nintendo would see the Virtual Console as a money maker, but with games like baseball and pinball they are wasting their time. Where's A link to the past and Super Mario Bros 3 and the N64 games that we've all been begging for. Though now with the rumored "Reumagined" HD N64 games possiby coming out I wonder if the big N64 games (When they finally do hit the VC) will sell as well. OMG AA:DD IS HERE. It's only fitting that I finished Apollo Justice last Sunday. Gotta keep away from spoilers till I get it next week. Walmart has the sonic demo playable as well as mario and sonic. Idk why they dont put them on thr rshop as well. Expecting £24 of Deus Ex in the post tomorrow! Whoop whoop! No Toki Tori 1 today? I thought it was set for today. ...and I agree on the WiiU VC - Baseball? Really? I love Baseball, but no-one loves that game. Why not Pro Wrestling, Contra, Rygar even 8 Eyes for crying out loud. Something that isn't totally terrible! @RevolverLink That will creep me out forever. 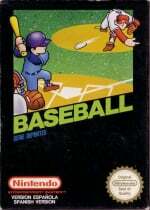 @RevolverLink I'm excited about NES Baseball too! I just want Phoenix Wright for this week. I would really like it if we got a demo for Sonic but it looks like we aren't getting one. This week is PACKED! I'll get the Wii U version of Sonic at retail soon enough. Downloading phoenix wright the second I get home! I feel like VC is an after thought right now and probably for good reason. Anyone else get the feeling they are putting out games they can easily transfer right now because they have a majority of the VC staff working on other projects. I'm not sure if its because we are going to get a wealth of quality VC titles in time for Christmas that take more effort to adjust to Wii U or if they are all working on the retail games to get releases back on schedule? Just a thought....I'm hoping it is that the VC will be featuring some Gamecube and N64 releases but I'm guessing its to get all major releases back on schedule. No Marvel Superheroes in the eShop! That's no fun, but it does save me $50. @WebHead - " It's More NoA's fault than Nintendo as a whole." Well that's a letdown. There is a Halloween theme on the shop but no Halloween themed VC releases this week. Regardless of whether you love them or not, Baseball and Pinball are prime examples of NES games that should be between $1 and $2. Nintendo would easily get many more sales, definitely more goodwill, and probably even more money overall. Those early simplistic games should not be priced the same as Zelda, Metroid, etc. It's insulting, honestly. @aaronsullivan Agreed. With such a classic library of games available, they're really gotta be able to do better than Baseball and Pinball. The pricing scheme for these games is way out of wack. I'd love to see nintendo's download numbers for a game like Balloon Fight, that was available for $0.30... It must've made more money a 30 cents than it has at $5. You'd think they'd rather sell half a million copies of a game at 50 cents, than a couple thousand at $5. I thought for sure on the advertisements for Lego Marvel Super Heroes it had "Nintendo eShop" on it?? Yep. It's a typo. Sonic lost World is actually $39.99 instead of $49.99. And Resident evil games on the 3ds Eshop is getting a sale. Ugh!!! Nothing for me to download both system of 3Ds and WiiU. Nintendo!! Start to give any excitment games such as Megaman for eshop download that i have been waiting for!!!! With the Wiiu my guess is they are hammering out the old nes games before they start again on the snes vc and they are waiting for the deluxe promotion to end. No objection to getting Ace Attorney 5! @daveh30 Yes. RE: Reveletions is $19.99 on Wii U eShop, and $9.99 on 3DS eShop as well as RE: Mercenaries. If you didn't get it when it launched now is a great time to get Urban Trial Freestyle! very fun, highly recommended! #1, do you have any world records? I have the record for the second long jump trick of the first track in the first world. Cool, more worthless Wii U VC stuff that nobody wanted and nobody asked for. What's the deal with that anyway? Why is Nintendo simply disregarding the demand for quality VC releases? Why bother wasting resources in putting these games that will sell like wet paper in the eShop? Something like Super Mario Kart or A Link to the Past would sell more digital copies in the opening week than pretty much everything they've put on the Wii U VC in the last two months combined. @mariobro4 Well, that's more like it Now they just need to keep releasing games like that every week! @mariobro4 This is what we need about 1,000% of on Wii U VC! Super Castlevania IV will always be my fav Castlevania. Problem for me is that I've had SC IV since the early SNES days, but I've never gotten to play Bloodlines (or Contra: Hardcorps). I waited and waited for it to come out on Wii VC. Now, there's the Wii U VC, and Genesis isn't in the console lineup! I guess I'm going to wind up having to buy a Genesis (and make physical/plug-in room) just for Bloodlines & Hardcorps, lol! Nintendo doesn't make demos for games that aren't theirs. Demos you listed are either Nintendo's games, or the demo was made by the developer who actually developed the game, and given to Nintendo. If a Sonic demo isn't on the NA eShop, it's because Sega didn't give a demo to Nintendo to put on the NA eShop. If a demo for the game is available in another region and not here, it's because Sega wanted it that way. Buying Ace Attorney Dual Destinies, but I don't know why I'm buying ANY games considering I'm like a crackhead for Monster Hunter 3 Ultimate right now. I STILL haven't unwrapped Windwaker HD, Pokémon X, Pokémon Y, or Deus Ex Human Revolution, and soon I'll be piling both Sonic Lost Worlds, Assassin's Creed 4, Wii Party U, Batman Arkham Origins and Origins Blackgate (Vita) on my shelf of unopened games. I just can't stop playing MH3U!!! I called into work yesterday just to play it, and gamed from 4am to 1am- a 21 hour binge. Nothing for me. I'll be busy with Arkham Origins and Lost World for months to come though. WOOOOOOOOOOOOOOOH!! Using The Power in your face, putting you back in your place! DON'T LOOK AT OUR CROTCHES WHILE WE SYNCHRONIZE OUR WATCHES!! A big fat N for nothing! I do recommend Urban trails free style, it is a fun game and good since it's on sale. Some awesome Wii U Virtual console again this week. Oh wait baseball and pinball, nevermind. Nothing for me this week. the WII U VC is a joke, it basically doesn't exist to me anymore... on the bright side the Wii U games coming out look real solid. Sonic and Batman are day one buys for me. AC4 looks great but if it's anything like Splinter Cell was I think I'm going to wait and see how buggy it is before I pick it up. Pacman might be a good pick up for a budget title. Nothing, because I am playing Dues Ex at the moment. I'd like to say I am very impressed with the game so far. I'll probably end up getting Phoenix as soon as I'm off of my Pokemon addiction and have a bit more money. Might buy the original Shantae or something this weekend for a change of pace, though. Sonic or Phoenix?! I can't choose! Then theres Wii Fit U next week, which is technically free, but I need that Fit Meter! Then theres that Trials wannabe that I wanted to get since I love those games. Too many choices and not enough money. No Sonic Lost World demo? @JaxonH @Marioman64 Yes, I knew I wasn't the only one! Ha. Have to wait until next week to download any games. Still trying to finish up Pokemon X & Y so I am good for games. They are just too many on the eShop that I want. It's an error, Sonic lost world is 39.99$ acccording to 3DS eShop ! @WebHead With the reviews I've been reading, the very LAST thing Sega should do is release a demo of Lost World.